This is an introduction to the Wikipedia project for visitors. There is also an encyclopedia article about it at Wikipedia. See also: list of overviews. Wikipedia (IPA: /ˌwikiˈpiːdi.ə/ or /ˌwɪkiˈpiːdi.ə/) is a multilingual, web-based, free content encyclopedia project. Wikipedia is written collaboratively by volunteers from all around the world. With rare exceptions, its articles can be edited by anyone with access to the Internet, simply by clicking the edit this page link. The name Wikipedia is a portmanteau of the words wiki (a type of collaborative website) and encyclopedia. Since its creation in 2001, Wikipedia has grown rapidly into one of the largest reference Web sites. In every article, links will guide you to associated articles, often with additional information. Anyone is welcome to add information, cross-references or citations, as long as they do so within Wikipedia's editing policies and to an appropriate standard. One need not fear accidentally damaging Wikipedia when adding or improving information, as other editors are always around to advise or correct obvious errors, and Wikipedia's software, known as MediaWiki, is carefully designed to allow easy reversal of editorial mistakes. If you've not done so, we invite you to take a few moments to read What Wikipedia is (and is not), so that you have an understanding of how to consult or contribute to Wikipedia. Further information on key topics appears below. If you can't find what you are looking for, try the Frequently Asked Questions or see Where to ask questions. For help with editing and other issues, see Help:Contents. Wikipedia was founded as an offshoot of Nupedia, a now-abandoned project to produce a free encyclopedia. Nupedia had an elaborate system of peer review and required highly qualified contributors, but the writing of articles was slow. During 2000, Jimmy Wales, founder of Nupedia, and Larry Sanger, whom Wales had employed to work on the project, discussed ways of supplementing Nupedia with a more open, complementary project. On the evening of January 2, 2001, Sanger had a conversation over dinner with Ben Kovitz, a computer programmer, in San Diego, California. Kovitz, who was a regular on "Ward's Wiki" (the WikiWikiWeb), explained the wiki concept to Sanger. Sanger saw that a wiki would be an excellent format whereby a more open, less formal encyclopedia project could be pursued. Sanger easily persuaded Wales, who had already been introduced to the wiki concept, to set up a wiki for Nupedia, and Nupedia's first wiki went online on January 10. There was considerable resistance on the part of Nupedia's editors and reviewers to the idea of associating Nupedia with a website in the wiki format, so the new project was given the name "Wikipedia" and launched on its own domain, wikipedia.com, on January 15 (now called "Wikipedia Day" by some users). The bandwidth and server (in San Diego) were donated by Wales. Other current and past Bomis employees who have worked on the project include Tim Shell, one of the cofounders of Bomis and its current CEO, and programmer Jason Richey. The domain was eventually changed to the present wikipedia.org when the nonprofit Wikimedia Foundation was launched as its new parent organisation, prompting the use of a .org domain to denote its noncommercial nature. In March 2007, the word wiki became a newly recognised English word. In May 2001, a wave of non-English Wikipedias was launched — in Catalan, Chinese, Dutch, Esperanto, French, German, Hebrew, Italian, Japanese, Portuguese, Russian, Spanish, and Swedish; these were soon joined by Arabic and Hungarian. In September, Polish was added and further commitment to the multilingual provision of Wikipedia was made. At the end of the year, Afrikaans, Norwegian, and Serbocroatian versions were announced. There are more than 75,000 active contributors working on some 5,300,000 articles in more than 100 languages. As of today, there are 1,396 articles in English; every day hundreds of thousands of visitors from around the world make tens of thousands of edits and create thousands of new articles to enhance the knowledge held by the Wikipedia encyclopedia. Visitors do not need specialised qualifications to contribute, since their primary role is to write articles that cover existing knowledge; this means that people of all ages and cultural and social background can write Wikipedia articles. Tens of thousands of regular editors — from expert scholars to casual readers — can edit Wikipedia, an openness that encourages inclusion of a tremendous amount of content. Several mechanisms are in place to help Wikipedia members carry out the important work of crafting a high-quality resource while maintaining civility. Editors can watch pages and techies can write editing programs to keep track of or rectify bad edits. Over 1,000 administrators with special powers ensure that behavior conforms to Wikipedia guidelines and policies. When a few situations are still unresolved after all other consensus remedies have failed, a judicial committee steps in and decides to withdraw or restrict editing privileges or to take other corrective measures. Many visitors come to this site to acquire knowledge, others to share knowledge. In fact, at this very instant, dozens of articles are being improved, and new articles are also being created. You can view changes as they happen at the Recent changes page. You also can view random articles. Over 1,200 articles have been designated by the Wikipedia community as featured articles, exemplifying the best articles in Wikipedia. Another 1,800 articles are designated as good articles. Wikipedia also has portals, which organize content around topic areas. You may also search for articles, using the search box on the left side of the screen. You also might enjoy reading Wikipedia in other languages. Wikipedia has more than two hundred different languages (see other language versions), including a Simple English version, and related projects include a dictionary, quotations, books, manuals, and scientific reference sources, and a news service (see sister projects). All of these are maintained, updated, and managed by separate communities, and often include thought-provoking information and articles which can be hard to find through other common sources. As a wiki, articles are never complete. They are continually edited and improved over time, and in general this results in an upward trend of quality, and a growing consensus over a fair and balanced representation of information. Users should be aware that not all articles are of encyclopedic quality from the start, and may contain false or debatable information. Indeed, many articles start their lives as partisan, and it is after a long process of discussion, debate and argument, that they gradually take on a neutral point of view reached through consensus. Others may for a while become caught up in a heavily unbalanced viewpoint which can take some time — months perhaps — to extricate themselves and regain a better balanced consensus. In part, this is because Wikipedia operates an internal resolution process when editors cannot agree on content and approach, and such issues take time to come to the attention of more experienced editors. The ideal Wikipedia article is balanced, neutral and encyclopedic, containing notable, verifiable knowledge. An increasing number of articles reach this standard over time, and many already have. However, this is a process and can take months or years to be achieved, as each user adds their contribution in turn. Some articles contain statements and claims which have not yet been fully cited. Others will later have entire new sections added. Some information will be considered by later contributors to be insufficiently founded, and may be removed or expounded. While the overall trend is generally upward, it is important to use Wikipedia carefully if it is intended to be used as a research source, since individual articles will, by their nature, vary in standard and maturity. There are guidelines and information pages designed to help users and researchers do this effectively, and an article that summarizes third-party studies and assessments of the reliability of Wikipedia. Some see clear differences in Wikipedia that allow it to trump traditional paper encyclopedias. For instance, Wikipedia has not only a very low "publishing" cost for adding or expanding upon material but also a low environmental impact, since it need never be printed and then distributed via air, sea, or land. Also, Wikipedia seems easier to read through its use of wikilinks instead of in-line explanations and its incorporation of overview summaries (article introductions) with the extensive detail of a full article. Additionally, the editorial cycle can be performed with greater timeliness, accessibility, and ease. Although a paper encyclopedia is set in stone till its next edition, writers and editors update Wikipedia at every moment, thus ensuring that it stays abreast of the most recent events and scholarship. Supporters of paper encyclopedias disagree. Many think that Wikipedia's amateur and democratic ethos makes it far more susceptible to inaccuracy. Others argue that too many Wikipedia articles lack any real relevance but instead reflect uncritical fandom or advance hypercritical vendettas. Other charges have been leveled against Wikipedia: editing can be too contentious and uncivil; articles on highly important subjects too often lack quality or simply do not yet exist; it is not user-friendly or welcoming enough to new members; it is too vulnerable to vandalism; etc. However, many Wikipedia members insist that these problems will largely iron themselves out over the course of the project; after all, they say, Wikipedia is only in its infancy. Wikipedia's greatest strengths, weaknesses and differences arise because it is open to anyone, has a large contributor base, and articles are written by consensus according to editorial guidelines and policies. The MediaWiki software which runs Wikipedia retains a history of all edits and changes, thus information added to Wikipedia never "vanishes", and is never "lost" or deleted. Wikipedia is open to a large contributor base, drawing a large number of editors from diverse backgrounds. This allows Wikipedia to significantly reduce regional and cultural bias found in many other publications, and makes it very difficult for any group to censor and impose bias. A large, diverse editor base also provides access and breadth on subject matter that is otherwise inaccessible or little documented. A large number of editors contributing at any moment also means that Wikipedia can produce excellent encyclopedic articles and resources covering newsworthy events within hours or days of their occurrence. Wikipedia articles and coverage of topics may have a tendency to reflect the cultural, age, and socio-economic demographics of its contributors. There is no systematic process to make sure that "obviously important" topics are written about, so Wikipedia may contain unexpected oversights and omissions. While most articles may be altered by anyone, in practice editing will be performed by a certain demographic (younger rather than older, male rather than female, rich enough to afford a computer rather than poor, Christian or Jewish rather than Muslim or Buddhist etc.) and may, therefore, show some bias. Some more academic topics may not be covered as well on Wikipedia, while pop culture topics are covered in great depth. Allowing anyone to edit Wikipedia means that it is more easily vandalized or susceptible to unchecked information, which requires removal. While blatant vandalism is usually easily spotted and rapidly corrected, Wikipedia is more subject to subtle vandalism and viewpoint promotion than a typical reference work. While Wikipedia articles generally attain a good standard after editing, it is important to note that fledgling, or less well monitored, articles may be susceptible to vandalism and insertion of false information. Wikipedia's radical openness also means that any given article may be, at any given moment, in a bad state, such as in the middle of a large edit, or a controversial rewrite. Many contributors do not yet comply fully with key policies, or may add information without citable sources. Wikipedia's open approach tremendously increases the chances that any particular factual error or misleading statement will be relatively promptly corrected. Numerous editors at any given time are monitoring recent changes and edits to articles on their watchlist. Wikipedia is written by consensus — an approach that has its pros and cons. Censorship or imposing "official" points of view is difficult to achieve and almost always fails after a time. Eventually for most articles, all notable views become fairly described and a neutral point of view reached. In reality, the process of reaching consensus may be long and drawn-out, with articles more fluid or changeable for a long time compared while they find their "neutral approach" that all sides can agree on. Reaching neutrality is occasionally made harder by extreme-viewpoint contributors. Wikipedia operates a full editorial dispute resolution process, that allows time for discussion and resolution in depth, but also permits months-long disagreements before poor quality or biased edits will be removed forcibly. Studies suggest that Wikipedia is broadly as reliable as Encyclopedia Britannica, with similar error rates on established articles for both major and minor omissions and errors. There is a tentative consensus, backed by a gradual increase in academic citation as a source, that it provides a good starting point for research, and that articles in general have proven to be reasonably sound. That said, articles and subject areas sometimes suffer from significant omissions, and whilst misinformation and vandalism are usually corrected quickly, this does not always happen. (See for example this incident in which a person inserted a fake biography linking a prominent journalist to the Kennedy assassinations and Soviet Russia as a joke on a co-worker which went undetected for 4 months, saying afterwards he "didn’t know Wikipedia was used as a serious reference tool.") Therefore, a common conclusion is that it is a valuable resource and provides a good reference point on its subjects, but like any online source, unfamiliar information should be checked before relying upon it. A 2005 editorial by a BBC technology writer comments that these debates are probably symptomatic of new cultural learnings which are happening across all sources of information (including search engines and the media), namely "a better sense of how to evaluate information sources." Main article and text of disclaimers: Wikipedia:Disclaimers. Wikipedia disclaimers apply to all pages on Wikipedia. Wikipedia, in common with many websites, makes its disclaimers highly visible, a practice which at times has led to commentators citing these in order to support a view that Wikipedia is unreliable. A selection of similar disclaimers from places which are often regarded as reliable (including sources such as Encyclopædia Britannica, Associated Press, and the Oxford English Dictionary) can be read and compared at Non-Wikipedia disclaimers. Wikipedia content advisories can also be found here. Anyone can contribute to Wikipedia by clicking on the Edit this page tab in an article. Before beginning to contribute however, you should check out some handy helping tools such as the tutorial and the policies and guidelines, as well as our welcome page. It is important to realize that in contributing to Wikipedia, users are expected to be civil and neutral, respecting all points of view, and only add verifiable and factual information rather than personal views and opinions. "The five pillars of Wikipedia" cover this approach and are recommended reading before editing. However, repeated vandalizing will be reported via the Administrator Notice Board and the user may be temporarily blocked from editing Wikipedia. Most articles start as stubs, but after many contributions, they can become featured articles. Once you have determined that there is no article on Wikipedia on a topic you are interested in, you may want to request that the article be written (or you could even research the issue and write it yourself). Wikipedia has many on-going projects, focused on specific topic areas or tasks, which help coordinate editing. The hope of any contributor is to provide useful and accurate information to others, and the projects help coordinate efforts. 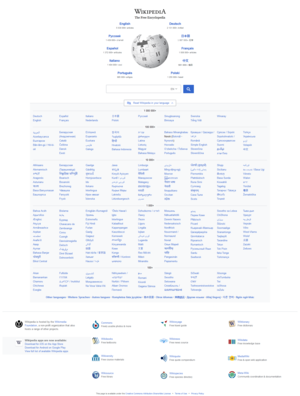 Wikipedia uses a simple yet powerful page layout to allow editors to concentrate on adding material rather than page design. These include automatic sections and subsections, automatic references and cross-references, image and table inclusion, indented and listed text, links ISBNs and math, as well as usual formatting elements and most world alphabets and common symbols. Most of these have simple formats that are deliberately very easy and intuitive. Wikipedia has robust version and reversion controls. This means that poor quality edits or vandalism can quickly and easily be reversed or brought up to an appropriate standard by any other editors, so inexperienced editors cannot accidentally do permanent harm if they make a mistake in their editing. As there are many more editors intent upon good quality articles than any other kind, articles that are poorly edited are usually corrected promptly. Wikipedia content is intended to be factual, notable, verifiable with external sources, and neutrally presented, with external sources cited. Wikipedia:What Wikipedia is not summarizes what Wikipedia is, and what it is not. Wikipedia:Neutral point of view Wikipedia's core approach, neutral unbiased article writing. Wikipedia:No original research what is, and is not, valid information. Wikipedia:Verifiability what counts as a verifiable source and how a source can be verified. Wikipedia:Citing sources sources should be cited, and the manner of doing so. These can be abbreviated to WP:NOT, WP:NPOV, WP:NOR, WP:V, and WP:CITE respectively. The Wikipedia community is largely self-organising, so that anyone may build a reputation as a competent editor and become involved in any role they may choose, subject to peer approval. Individuals often will choose to become involved in specialised tasks, such as reviewing articles at others' request, watching current edits for vandalism, watching newly created articles for quality control purposes, or similar roles. Editors who find that editorial administrator responsibility would benefit their ability to help the community may ask their peers in the community for agreement to undertake such roles; a structure which enforces meritocracy and communal standards of editorship and conduct. At present around a 75–80% approval rating after enquiry, is considered the requirement for such a role, a standard which tends to ensure a high level of experience, trust and familiarity across a broad front of projects within Wikipedia. A variety of software assisted systems and automated programs help several hundred editors to watch for problematic edits and editors. An arbitration committee sits at the top of all editorial and editor conduct disputes, and its members are elected in three regularly rotated tranches by an established enquiry and decision making process in which all regular editors can equally participate. Wikipedia has a rich span of methods to handle most abuses which commonly arise, which are well tested and should be relied upon. Unresolved disputes between editors, whether based upon behavior, editorial approach or validity of content, can be addressed through the talk page of an article, through requesting comments from other editors or through Wikipedia's comprehensive dispute resolution process. Abuse of user accounts, such as the creation of Internet sock puppets or solicitation of friends and other parties to enforce a non-neutral viewpoint or inappropriate consensus within a discussion, or to disrupt other Wikipedia processes in an annoying manner, are addressed through the sock puppet policy. In addition, brand new users (until they have established themselves a bit) may at the start find that their votes are given less weight by editors in some informal polls, in order to prevent abuse of single purpose accounts. As well as systems to catch and control substandard and vandalistic edits, Wikipedia also has a full style and content manual, and a variety of positive systems for continual article review and improvement. Examples of the processes involved include peer review, good article assessment, and featured articles, a rigorous review of articles which are desired to meet the highest standards and showcase Wikipedia's capability to produce high quality work. In addition, specific types of article or fields often have their own specialized and comprehensive projects, assessment processes (such as biographical article assessment), and expert reviewers within specific subjects. Nominated articles are also frequently the subject of specific focus under projects such as the Neutrality Project or covered under editorial drives by groups such as the Cleanup Taskforce. Wikipedia uses MediaWiki software, the open-source program used not only on Wikimedia projects but also on many other third-party websites. The hardware supporting the Wikimedia projects is based on almost 100 servers in various hosting centers around the world. Full descriptions of these servers are available on this meta page. For technical information about Wikipedia, you can check Technical FAQs. Wikipedia itself is run as a communal effort. It is a community project whose end result is an encyclopedia. Feedback about content should, in the first instance, be raised on the discussion pages of those articles. You are invited to be bold and edit the pages yourself to add information or correct mistakes if you are knowledgeable and able to do so. Talk pages — the associated discussion page for discussion of an article or policy's contents. This is usually the first place to go. Dispute resolution — for disputes which remain unresolved within an article's talk space. Village pump — the Wikipedia discussion area, part of the community portal. Wikipedia:Help desk — Wikipedia's general help desk, if other pages haven't answered your query. Wikipedia:Requested articles — to suggest or request articles for future. Wikipedia:Reference desk — to ask for help with any questions, or in finding specific facts. Because of the nature of Wikipedia, it's encouraged that people looking for information should try and find it themselves in the first instance. If however you come across valid information missing from Wikipedia, be bold and add it yourself so others can gain from your research too! For specific discussion not related to article content or editor conduct, see the Village pump, which covers such subjects as news and announcements, policy and technical discussion, and information on other specialized portals such as the help, reference and peer review desks. The Community Portal is a centralized place to find things to do, collaborations, and general editing help information, and find out what's going on. If you need more information, the first place to go is the Help:Contents. To contact individual contributors, leave a message on their talk page. Standard places to ask policy and project-related questions are the village pump, online, and the Wikipedia mailing lists, over e-mail. You can also reach other Wikipedians via IRC and instant messenger. Also, you could try the Wikimedia Foundation meta-wiki, a site for coordinating the various Wikipedia projects and sister projects (and abstract discussions of policy and direction), and there are many different places for submitting bug reports and feature requests. ↑ history flow: results. IBM. ↑ What is it with Wikipedia? 16 December 2005.